Lower back pain is real pain in the …. You know where. Sometimes you can’t fix it regardless of what you do and try. For most of us low back pain is something we learn to live with giving up of actually fixing the problem. What if you are in small group of people whose passion or career choices are causing back pain (heavy lifters, athletes, construction workers)? Gave up on training or career and wait for pain to ease. Actually do something and try to train around it. Personally I’m not a fan of giving up completely and will always encourage my clients to keep moving and training but doing it in a smarter way. If you stop training or moving you will make it worse, will lose momentum, power, strength, become stiff and it will take ages to get you to previous fitness level. All you need to do is to modify your usual exercises and movements. 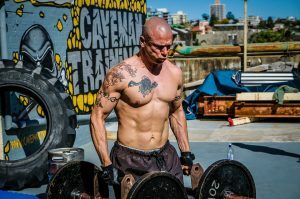 All weight lifters, strength training enthusiasts, pump class lovers and gym freaks here is what you can do to maintain your hard earn strength and muscle. First things first. Try to determine by self assessment which of two types of back pain injury you have. There are few tests you can perform to check what has happened to your back. They are easy and do not require any equipment. Do you have any of following symptoms? If YES, go and see your doctor as a matter of urgency! Any of those may suggest neurological problems and you will need specialist to have a closer look. If your answer was NO, most likely your problem is of musculoskeletal nature. #2 Do you have flexion or extension intolerant pain type? Flexion intolerant pain type is when a person that suffers the worse pain while flexing spine (body bending forward). This type of pain is common among people who sit for longer periods of time like office workers, drivers or “couch type” person. You know these for sure. To see if that’s you perform this simple test…. Extension intolerant pain type will be person experiencing aggregating pain during extending spine (bending backward). 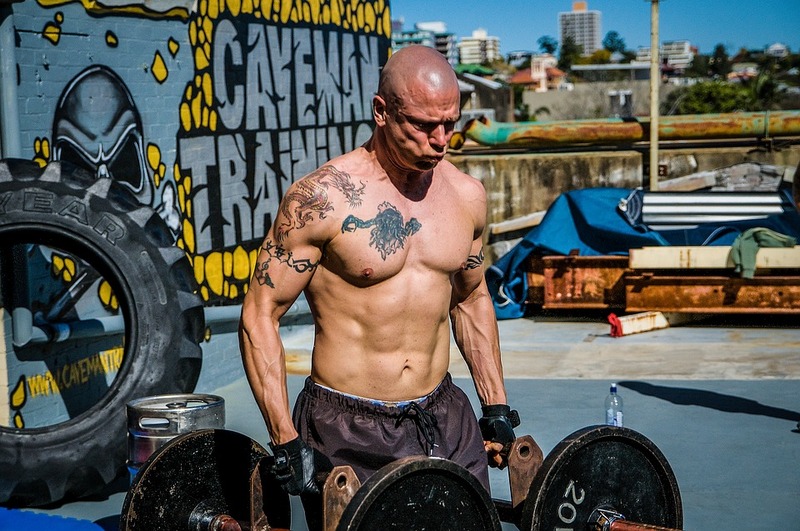 This type is especially common among active people like athletes, weight lifters or cross fitters. It’s caused by compressing spine during weigh lifting exercises. It is simply caused by poor technique. If your pain is worse while bending forward, you should avoid sitting positions, deep couches or chairs especially during exercises. For extension type, extended body position is something to avoid. There is a list of exercises that everyone with lower back pain should avoid or modify. Poor posture, sitting position for prolong periods of time, poor fitness habits and lack of stretching repeated over the years have fixed your body in the position it is now. Your back pain is there because you have earned it. If your position, posture or movements are not physiological, probably they have been like this for years which eventually has led to the back pain you are experiencing now. If your body is like this when you do not do any physical activity imagine what is happening to it while you are moving, exercising and putting it under pressure! It isn’t a question if it breaks, but when it breaks. To brake pain cycle you have to stabilize your lumbar spine. Imagine this. Your hips don’t move much as a result of prolong sitting is one position, lack of stretching or overdoing hip flexion based exercises. They will become less mobile – in other words the range of movement will reduce. That would cause to lumbar spine to take over and as a result it becomes “too active”. Physiologically it should be the other way around. That is just beginning. To compensate the over mobility of lumbar spine you get rounded shoulders, round back, tight chest muscles and restricted mobility around thoracic spine. So you got hips and thoracic spine that are “stiff” and a lumbar spine that does all the work. Imagine the additional stress that part of your body needs to go through daily in that scenario. To fix it you have to break this vicious pattern. Get mobility back to your hips, thoracic spine and stabilize lumbar spine. How to exercise with that problem? Before you will get your mobility back, learn how to exercise to protecting your spine. The easiest way to do it is to lay down during your trainings. From the moment the pain appears anywhere in your body everything changes. You may not even realise it but from now on your body will do anything to avoid pain. Even, if it means functioning the wrong way. It’s called compensation. If it last long enough it may be extremely dangerous as your body and muscles will learn new movement pattern causing strain on certain body parts or muscles. It might even be locked in the pathologic movement pattern which will lead to more pain or even injury in the future. If you decide to train despite pain you will have to do it the smart way. 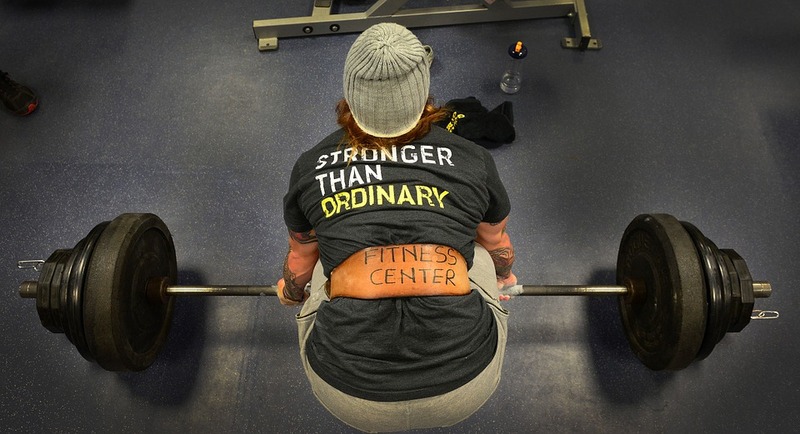 First of all, create stability and strengthen muscle “armour” for the lower back. Activating core muscles will be of huge advantage here. Protect your lower back by positioning your ribs slightly different. Instead of them facing ‘forward’ keep your ribs ‘down’ keeping ribs in this position will activate your core muscles and protect your spine through the movement. Utilize weightlifting belt as it can stabilize your back. You will have to say goodbye for a while to most of deep movements, especially low squats. If you tend to train for long time with heavy weights, most likely your hip flexors are overstrained and hamstrings along with glutes muscles too tight. 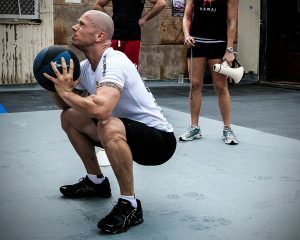 Getting low into squat position with tight posterior aspect of your body and will place your spine in a wrong position. You will hinge your hips as a compensation to the too tight muscles. Stretching hamstring and glutes with paying special attention to piriformis muscles is your everyday “must” to get more flexibility and mobility. Meanwhile perform shallow squats to continue your training and tot to put too much stress on you spine.. 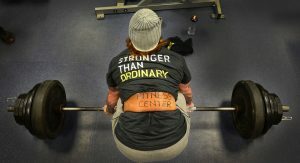 The same applies to the deadlift. For deadlifts go for trap bar deadlift or as another option use rack pulls. Also start training with keeping your spine in neutral position from now on especially during exercises requiring bigger range of motion. Your spine is sore as it is and putting it under more pressure right now is not the greatest idea. There are some positions and movements that may compress your spine further and as a result make lower back more painful. Anything that involves placing your body in full extension is dangerous. The example of it is straight up position with your hands extended over the head. If it comes to exercises the avoid shoulder press or any overhead lifts, push jerk, overhead squats, military press, pull-ups, any snatches and wall ball throws. The second reason of those movements irritating your low back more is low mobility around your shoulders and core stability. Do some shoulder stability exercises and control core during exercises as mentioned before. Do all the mentioned exercises either with less weights or use different equipment for a moment. For example squat with dumbbells rather than bar or do shoulder presses with dumbbells. 4: Hold the stretched position for 2 minutes or more. 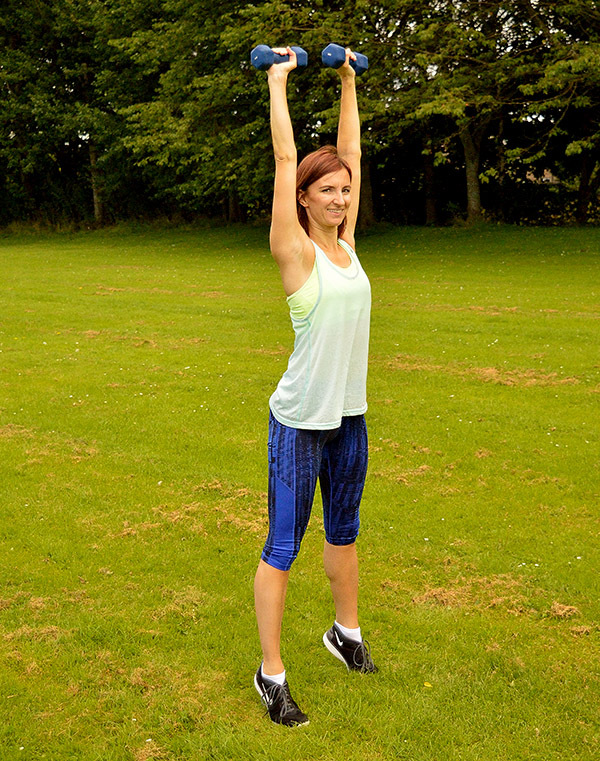 2: Grab hold with one hand and lean back so that your arm is over your head. 2: Lay so that the bottom portion of your thoracic spine is right on the roller or tennis balls. 3: Extend your spine over the roller or balls and then crunch back up. 4: Take the roller or balls about an inch further up your spine and repeat. Change the way you train your legs. Massive loads can create a lot of pressure around lower back, increases knee pain and reduces stability. Exercises like leg press will also create compression forces to your spine. Powerful exercises such as farmers walk or sled work is based on single leg training. They are with little eccentric component which can help you to perform better and recover faster. 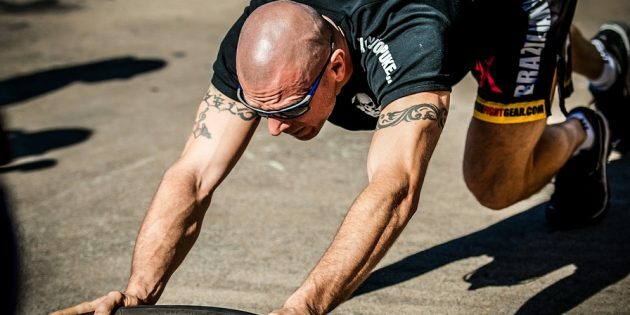 Training single leg at a time is the solution here. You will create muscle balance, stimulate weaker muscles and take load off your back. Yes, you can still lift heavy weights.. Use weights heavy enough so you can only make 4 repetitions maximum. For other legs exercises use split stance to save back.